STARTER OR INVESTMENT Don't miss this quaint basement bungalow in the heart of Nanaimo's burgeoning Old City neighbourhood. Numerous upgrades include: additional attic insulation, 200 amp electrical service, "Blue Skin" foundation membrane and foundation drain tile, professionally installed "Pacific Energy" airtight stove, Wett inspected. Situated on a generous sized 8000+ square foot lot with R14 multi-family zoning. This listing won't last! Welcome and thank you for taking the time to review our web page! If you’re looking to buy a home, sell your existing property or do both as many people are, we will ensure you have the most up to date information allowing you to make informed decisions every step of the way and ensure the process is as stress free as possible. We consider your unique objectives and timelines when discussing specific solutions for you and always guarantee to look after your specific Real Estate needs in a professional and ethical manner. We look forward to meeting with you for a no obligation consultation at your convenience. I am a member of Canadian Real Estate Association (CREA.) I have had my real estate license since 2011 with a previous background in industrial finance and asset based lending. I am a Director of CRG Mortgage Investment Corporation and full time professional REALTOR® with a proven successful track record and can definitely help you with anything to do with buying or selling your home in the central Vancouver Island region. Residential – This is my main area of focus, I have been involved in the purchase, sale, construction and renovation of many homes over the course of my life. I look forward to putting my experience to work for you. Commercial - I have experience as a buyer/owner and seller of commercial properties and would be pleased to discuss acquisition or sale of these types of properties with you as well. I was involved in all phases of the design and construction of a large award winning commercial office building in Nanaimo’s downtown core completed in 2001. Voted Most Professional REALTOR® *Coast Realty Group 2014. 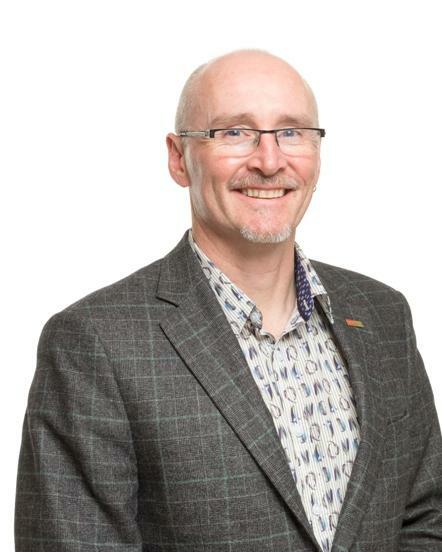 Other Interests: I like to live an active lifestyle, am married with one daughter who also happens to be an excellent full time professional REALTOR ® who I am lucky enough to have working with me at Royal LePage Nanaimo Realty. I currently volunteer as Chairman of Habitat for Humanity Mid Vancouver Island. Was awarded “Volunteer of the Year” with Community Futures Central Island in 2016. I'm a longstanding member of Branch 257 Legion in Lantzville. BC. I was born and raised in Nanaimo, graduated and eventually started a career in Property Management, which took me to many different cities over the next few years of my life. I lived all over BC until I ended up moving with my husband to Alberta where I continued to work in Residential Property Management and branched into Condominiums (or Strata’s as they are known here). The day I found out we would be expecting our first daughter was also the day we bought our first home in Alberta, it was then that I learned my true passion would be Real Estate. I loved the whole process and the idea that I could make a living doing something that I truly enjoyed was very appealing. After spending 6 years in Alberta, we decided it was finally time to move back to my Nanaimo to be closer to family. With a toddler, full time career, and a husband in the oilfield, having parents down the street was worth the very long move. We decided to keep our house in Alberta as an investment property and have just recently purchased another home here in Nanaimo. Our daughter is two and a half now and my Husband is still flying in and out to drill in Alberta. I could not be happier to be back in my hometown of Nanaimo and to be partnered up with my father, Dave Hitchcock. I promise to make each client relationship one built off trust and mutual respect. I will give you 100% of my business efforts and always ensure your interests are looked out for. At the end of each transaction my goal is that you will feel as though you could confidently recommend me to your friends and family. Investment Properties – I have many years experience working with investors from all over Canada. This experience allows me to understand the specific goals of each investor and how to achieve the most desirable outcomes in all acquisitions and sales. Strata Properties – Navigating Strata’s can be confusing, the benefit of having managed Strata’s in the past means that I can help you find either the best fit for you or the best target audience to market your current Strata property to. Single Family Homes – Having gone through the process from all sides I can offer you knowledge, patience, care and skill. I understand the all the emotions and excitement that come along with buying or selling your family home. Luxury Homes - We have a great list of professionals to assist us in getting your property ready to list. With our services in luxury listings we can arrange staging, photos, hosted video tours, and catered open houses to attract the appropriate clientele. The blue circle drawn on the map represents the area which is most likely to contain listings comparable to 368 Milton Street. If you wish, you may adjust the circle by dragging the white center handle to move it, or dragging one of its other white handles to resize it. Press the 'Next' button at the top when finished.